Home » Financial Planning » How Big Should an Emergency Fund Be? No matter how much solid financial planning we put in, life cannot be reduced down to complete predictability. Indeed, there are always unexpected expenses, large and small, that can crop up. And, you never know when something catastrophic, like a major illness or a job loss, will happen. The reality of unexpected financial situations should be enough to help you realize that you need an emergency fund. Indeed, many people found this out the hard way when the financial crisis triggered the Great Recession. An emergency fund will help you prepare for life’s unpleasant financial surprises. Depending on the size of your emergency fund, you can supplement your income if something happens to the ability of someone in your household to work. Additionally, an emergency fund can help you pay for car repairs, or help you take care of other issues that might crop up. A large enough emergency fund can serve as a safety. While it may not provide complete protection, and emergency fund can provide some relief, and help you avoid financial ruin. Many people wonder how much they should have in emergency savings. The answer, of course, depends on your personal situation, and how concerned you are for the future. An old rule of thumb suggested that you save three to six months of expenses up in order to protect yourself. The feeling was that you could live on the money for a few months while looking for a job, and that such a sum could also easily cover emergency repairs. However, now some are saying that six to nine months of expenses — or even 12 months of expenses — is a better option. After the latest recession, it has become apparent that some jobs may not be replaced in only three months. What you decide is up to you. To figure out how much you want to set aside in your emergency fund, add up your monthly expenses. Make sure you include your housing and utility payments, and your debt payments. Use your past two or three months’ expenses as a guide for estimating what you spend on groceries. Bank statements and personal finance software can help you estimate your monthly expenses (e.g., try Personal Capital). Then, multiply that number by how many months you want in your emergency fund. If your expenses are $4,500 a month, you would need $27,000. Of course, saving up so much money can be intimidating. However, you do not have to have all the money for your emergency fund at once. You can start small. Open a high yield savings account with as much money as you can spare for the savings effort. Then go through your expenses and decide how much you can set aside each month until your emergency fund goals are met. Even if you do not have the full amount of money at once, some savings are better than none, and you can work up to your goal. You can use automated savings to help with your goal. Remember that your emergency fund should be relatively liquid and accessible. While you could get higher returns in other products, the fact remains that high yield savings accounts are easier to tap than an investment account when an emergency looms. Eventually, you will have to dip into your emergency fund. When this happens, it is important that you do so in a manner that is planned. First, make sure that you really are in an emergency situation. Wanting a new TV, or getting a down payment for a superfluous car, do not qualify as “emergencies.” Set up separate savings accounts for these short term goals. If you can pay for something without tapping into your emergency savings, do so. As you use your emergency money, look for ways to stretch your income further. Get a temporary or a part-time job while you look to replace your full-time job, or have your partner work, so that your emergency fund isn’t your only source of income. Look at your spending and see where you can cut back so that your emergency fund lasts longer. Finally, remember to replace money you take from your emergency fund. You will have to build your fund back up after depleting it a little bit. However, you will be glad you did: You want that money available for the next emergency. Emergency funds is a must. You really won’t know what could happen and having none will just aggravate whatever bad situation you are in. I think one must know how much their monthly budget is and aim for a 3 months worth of that budget as their emergency fund target. It’s not gonna be easy but having enough funds will make you sleep better at night. Emergency fund is for those unexpected events in life like a job loss, an unexpected medical emergency, an out-of-the-blue home repair, a car transmission going out, and so on. And after eliminating debt regularly I hope whatever you save for your future for good purpose of investment or bad purpose expenses all can be utilize as Emergency fund. Yes, the part of saving which are easily can en-cashed that part would be more important thing to face such unexpected problems. So rest is totally depends on you how much you save in differently for getting liquid cash easily. Should a person pull back on their retirement savings to build up their emergency fund? Should they pull back on aggressively saving for kids’ college? Should they give less to charity? These are tough questions, which is why it’s always important to focus on REDUCING SPENDING. Cut your spending and you can do it all. I certainly think it’s appropriate to reduce/eliminate retirement savings, and definitely college savings for kids to build up emergency fund. I recently left my job to become a Realtor and I’ve cut back on both of these. I think Charity is a personal choice. Personally, I do cut back, because being in debt now will take away my ability to give in the future. I really love reading the comments on articles that cover this type of topic. I think it really is crucial to have an emergency fund and its interesting to hear everyone’s different angles as to how much. I personally like to always have a minimum of 6 months saved but also continue to add to it at that point. If something comes up where I have to spend 2k on a car repair, a course to further my education, an accident, etc. I want to KNOW I can cover my living expenses. My plan is to just keep adding $150/month to my emergency fund and let it grow. If all goes according to plan it will eventually be a savings account I can invest elsewhere or, if something happens I have the peace of mind knowing I will be financially secure. I would love to have a 12 month emergency fund, but I think I’ll settle with about 6 months for now. We have some other goals that will require money, so 6 months will have to do. Good point to mention that the Emergency Fund should be personal. All too often, we hear 3-6 months. Since the Great Recession, time of unemployment hovers around 40 weeks (10 months). Link below. Also, I believe your type of current employment should be a factor as well. Are you a high-ranking employee, athlete, small business owner? These are all great questions to ask. I think you hit on a good point in that ,the total amount required is really up to the person & their situation thanks for great post . Very good article. I just wonder sometimes about how things like these can limit our generosity. E.g. 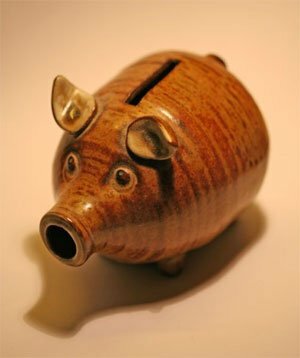 if I have saved up a 10 year emergency fund, and my church has a building project, and I really want to give, surely I should have the freedom to use that money (not because it’s an emergency, but because I live in freedom as a Christian). And I know of people who have been very generous in their lives, being blessed, without ever having an emergency fund because they relied on God to be their provider. Your thoughts? @Dirk – Regardless of your faith, I think it’s smart to have at least a small emergency fund saved up. As for having 10 years fund, that’s not an emergency fund…that’s a retirement fund. If I have that much money, I wouldn’t hesitate if I do want to give. Any tips on where to save / keep your emergency fund? Jenna: High yield savings account would be a good choice, or to set up a CD ladder that rolls over quite regularly. You want the money to be accessible. Thanks Miranda! What is the shortest CD ladder these days, 6 months? I tend to be conservative with my finances, that’s why I tell people to have at least a year of living expenses saved up! And more depending on your occupation and other variables (kids, dual income, etc). I think you hit on a good point in that the total amount required is really up to the person and their situation. There is no doubt that some jobs are more stable than others. Some income can be replaced faster than others. I do think 3 months is the minimum to have and anything less is a gamble on going into a lot of debt if you lose your job. Losing a job is nothing more than a risk you have to try to mitigate from occurring. How can you do that? One example is to try to create multiple streams of income. Another way is to evaulate what you’re good at in your job and try to improve even more which will result in more value being added to your company. The more value you add, the harder it is to let you go. Great post here! I am a big proponent of the importance of having an emergency cash fund. I tend to go with the camp that supports having 6-9 months, just to be on the safe side. A good way to save for an emergency fund is to set a goal to automatically transfer $20 per week to a high yield savings account. Over a year, this will increase to $1000. You will be well on your way to having your emergency fund created, and will not miss a small amount like $20 per week!